With the protection of the Fort and the presence of the railroad, Wallace became quite the boom town and population soared. The railroad brought people and prosperity to the west. For hundreds of miles, small towns sprung up around railroad depots, and the west became settled in a much easier manner than before. The population of towns like Wallace boomed, and businessmen began making for themselves a good life. A common practice for many entrepreneurs was to open up a small store selling items (liquor being the best seller) to railroad men. A man by the name of Thomas Madigan who came west with the rail did exactly that, opening up a "General Merchandise" store in the town of Wallace. He settled into Wallace and eventually raised a very successful family there. Peter Robidoux also came west with the rail. A French-Canadian, Robidoux came to Wallace in 1872 as he had "taken a liking" to it when he passed through several years before. Seeing that Thomas Madigan had an excellent business started, Robidoux decided to do the same, and opened a store all his own. Both men were wildly successful, and although they were business rivals they were also the best of friends. In fact, one of Thomas Madigan's sons later married a daughter of Pete Robidoux. Once they got their businesses going strong, both Madigan and Robidoux were forced to enlarge their stores several times while making a small fortune selling items for much more than they were in Denver or Kansas City. A series of tall tales is connected with the names of Robidoux and Madigan. Robidoux for instance, boasted that he would keep an empty beer keg in his store and drop in it all the silver dollars he earned that day. One day's earnings usually yielded an entire keg full of silver, not to mention some other "small change". Another story centers along the love the two men had for playing jokes on one another. Thomas Madigan left town one day, with an amateur shopkeeper in charge of his business. At the time, Madigan had 100 bottles of $10 champagne in his cellar. Robidoux sent some of his friends over to Madigan's store. There the men asked for cider (sold for $.25 a bottle) and pointed the greenhorn shopkeeper straight to the $10 champagne. By the time Madigan returned, all of his good champagne was gone...sold at $.25 a bottle. Rather than getting angry at Robidoux for making him lose $975, Robidoux laughed as Madigan tried unsuccessfully to "cuss him out" and their friendship continued as before. President Teddy Roosevelt embarked on a highly-anticipated rail tour of the American West in the spring of 1903, He traveled 14,000 miles over 8 weeks, visiting 25 states and 150 towns, and delivering 200 speeches. On May 3, the President attended the First Methodist Church of Sharon Springs, sharing his hymnbook with two young girls. That afternoon, he took an extended ride on a borrowed horse, reportedly riding at breakneck speeds around the prairie and nearly exhausting the steed! Upon his return, a little girl approached and asked if the President would like to have a baby badger. He said he would and a short time later the two-week old badger was delivered. In exchange, the little girl and her friends got a private tour of the President’s elegant train car, the Elysian, as well as flowers and a medal. Josiah the badger (named for the little girls brother who had captured the animal) rode in the Presidential car for the journey, hand-fed with potatoes and milk. He showed the badger to schoolchildren on the trip, pointing out the white stripe that ran down his back. 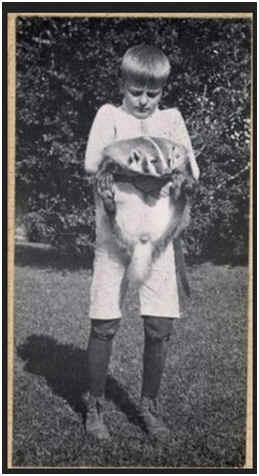 Upon return to Washington, the badger joined the Roosevelt family’s famous White House menagerie. When he began to hiss and nip at the ankles of guests, he was donated to the Bronx Zoo. The badger was a particular favorite of Archie Roosevelt, who is shown pictured holding Josiah. When the railroad changed the division point from Wallace to a town further west in 1890, business in Wallace slowed dramatically. Thomas Madigan lowered the prices of his merchandise to accommodate for the slower business. Robidoux, however refused to change anything, even when Madigan's items were twice as cheap. Both men began to diversify and become ranchers in addition to businessmen. Thomas Madigan married Mary Catherine Smith in 1877 and one of their first homes together was in the relocated Pond Creek Stage station. 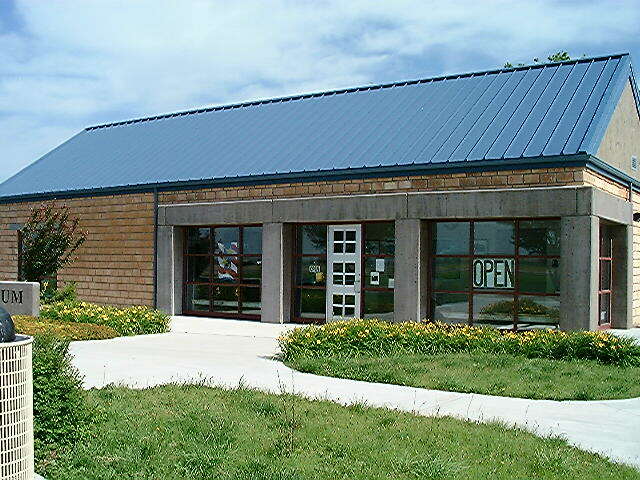 The famous Madigan store had its first humble beginnings in the bottom of the Pond Creek, while three of Thomas and Mary's four children were born in the upstairs room. 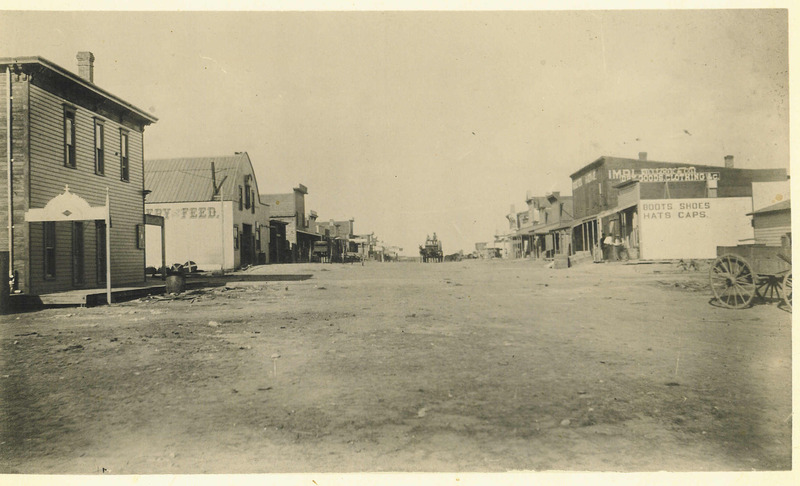 In 1898, the Madigan store was sold to Thomas' brother-in-law, and the Madigans moved out of town to their nearby ranch. They took the Pond Creek Station with them where they used it to store hay. When Thomas died in 1928 he had almost 8,000 acres to his name. Robidoux vowed that if ever a day came when no one entered his store he would lock the doors and never enter it again. That day came in 1893 and Robidoux (mostly) stuck to his word. The doors were locked and the windows were boarded up as all the merchandise still sat on the shelves. Robidoux only walked in his store one more time, in order to get hay for his livestock during a blizzard. In 1909, Peter Robidoux bought a Victorian-style home that had been built by H.A. Clark in 1880. Robidoux, his wife Alice, and their four children lived in this house for many years. Robidoux literally built himself an empire, and when he later sold all his holdings at a general auction in 1919, 32,000 acres were sold. The Robidoux home remains standing today. This piece of early county history is now being meticulously preserved and catered events may be held in the restored Robidoux home.